"We are very grateful that you all could come and visit with us. I have received nothing but great feedback around this program. You ladies touched our girls in an emotional but positive way. Crossroads thanks you for your time and kindness." "Justina and Lorie Ann's stories brought us to tears and filled us with joy. It was a deep, enriching experience for all of us. We loved them and want to have them back soon! 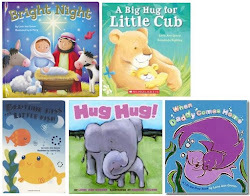 The two authors connected with our students immediately, and, by sharing their stories, gave us the courage to tell our own." When trials hit, how do we run in triumph? When we have a blind spot for blessings, how do we embrace gratitude? 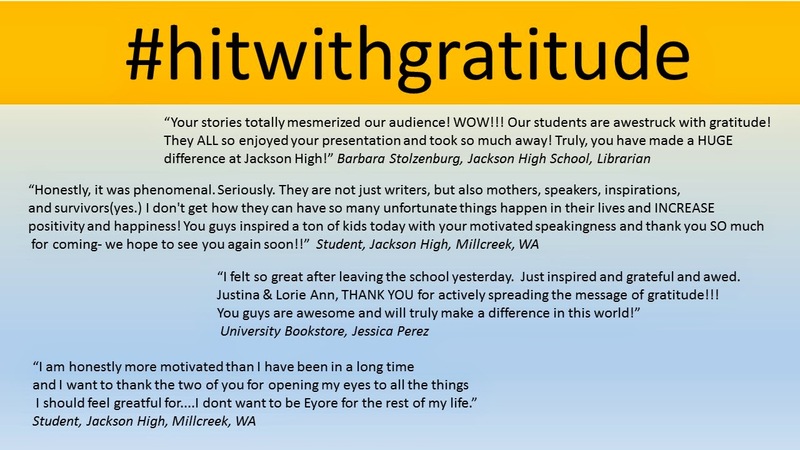 Award-winning authors and readergirlz co-founders, Lorie Ann Grover and Justina Chen, share the trials and triumphs within their own lives and their books’ characters, inspiring teens and adults to #hitwithgratitude. 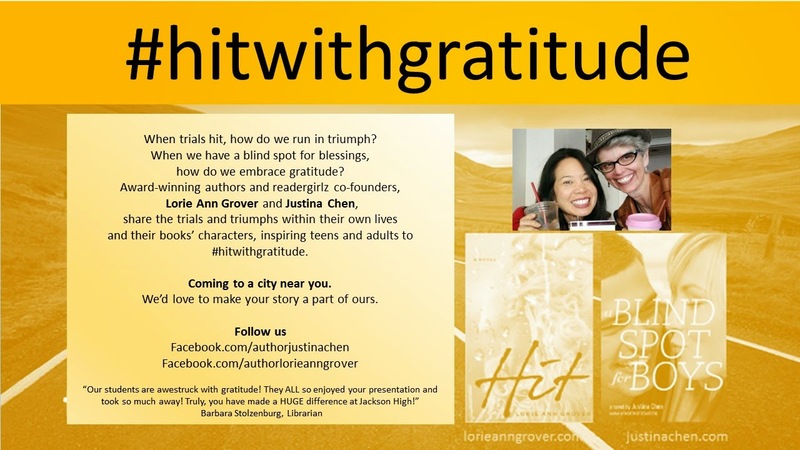 The concept of #hitwithgratitude began with the release of my young adult novel HIT coinciding with the release of Justina Chen's YA novel release, A BLIND SPOT FOR BOYS. As close friends, critique partners, and co-founders of readergirlz, it was a short leap to the thought of going on the road together for the #hitwithgratitude project. To join two houses, Blink Young Adult Books and Little Brown Books for Young Readers, would be novel. Yet, with a love of literacy, two books releasing so close together, the support of two houses, the hearts of readergirlz with us, and being besties ourselves, we set off side-by-side. How about the hashtag #hitwithgratitude? Where did that come from? Justina and I a few years before had taken a test, springing from Shawn Achor's book THE HAPPINESS ADVANTAGE. We discovered out of more than 20 personal strengths, we both ranked Gratitude in our top five abilities. It was interesting, and we filed it away. We also ran across Ann Voskamp's book, ONE THOUSAND GIFTS: A DARE TO LIVE FULLY RIGHT WHERE YOU ARE, and we discussed the beauty of numbering our blessings. Personally, I was being hit with wave after wave of chronic illness diagnoses from lupus to rheumatoid arthritis and cancer, while Justina was being hit by an unexpected divorce, being abandoned in China, and finding her long way home. In 2014, as Justina read HIT and I read A BLIND SPOT FOR BOYS, we were struck by how both novels carried the theme of enduring trial with a thankful heart. We chatted about choosing to be BETTER NOT BITTER and choosing PRAISE NOT PITY. There was room to be thankful in the midst of trial: not because of it (that would be irrational), not in spite of it (that would be grim determination), but thanks in the midst of it, knowing there is a greater purpose and lessons to be learned. 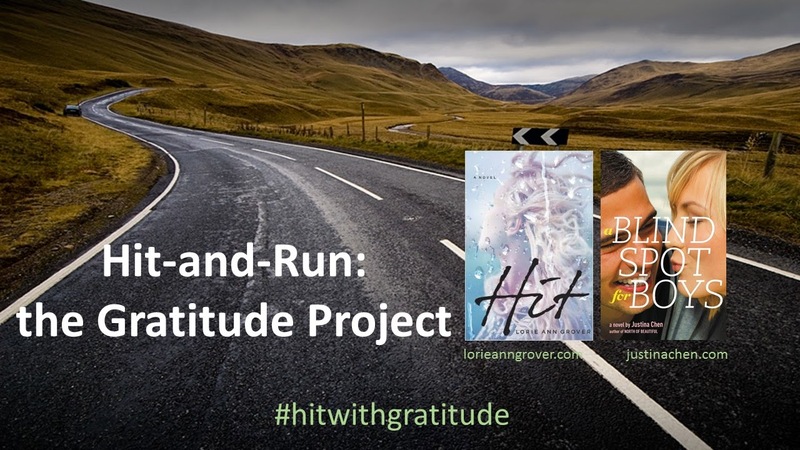 With #hitwithgratitude, we travel with our books to encourage readers of all ages to hit back with gratitude even when hit by heartache, loss, and physical testing. As time passes, we hope to travel together around the globe, carrying the same injunction. Along the way, we'll meet with readergirlz, media, librarians, teachers, students, incarcerated teens, and book clubs of all ages. We'll exchange stories, listening wholeheartedly, and encourage everyone to share a pic, a text, a video, or a post with the hashtag: #hitwithgratitude. Sharing, our personal gratitude we can hit, encourage another, with our thanks...and another...and another. Join us. Let's run and #hitwithgratitude.